As we tick over into our next centenary, we have the opportunity to reflect on our jam-packed centenary year in 2018. Today, February 12, marks Yooralla’s 101st birthday. Celebrations started with highlights Yooralla over the last 100 years on Channel 9’sThe Today Show. 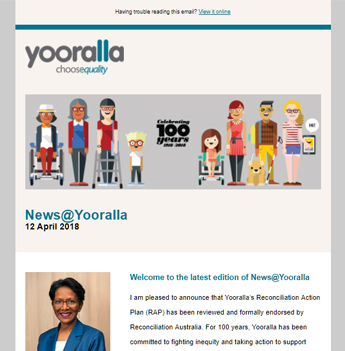 The story covered Yooralla’s history, Yooralla’s telethon, our memorable jingle, and an interview with customer and volunteer Peter Johnstone. We threw 100 year celebrations across all Yooralla sites in May, giving customers and staff across Victoria the opportunity to celebrate – and of course there was cake! We formally partnered with the Duke of Edinburgh award, to provide more opportunities to Yooralla’s young customers. We produced a series of videos broadcast on Channel31 detailing the stories of customers Mark, Jean-Marie, Daniel, Peter and Matthew, showcasing how they achieved their goals with Yooralla’s support. 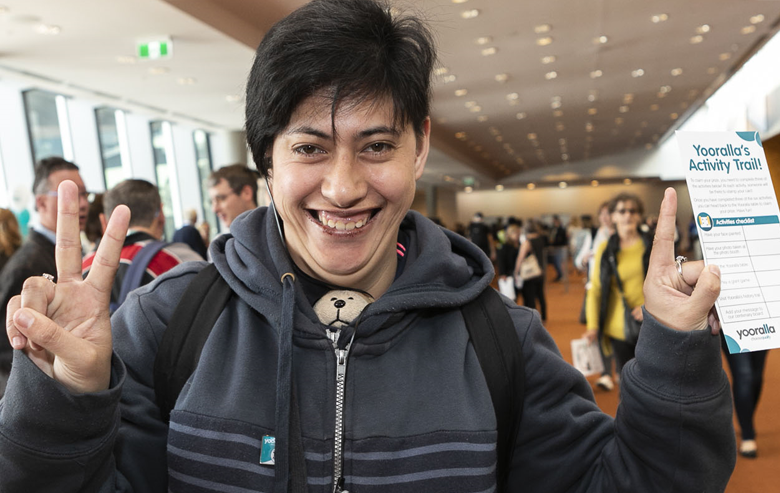 Staff and customers were recognised with a multitude of awards including the Victorian Disability Awards, the Australian Assistive Technology Awards the Victorian Premier’s Volunteer Champions Awards and the Australian Marketing Institute Awards. Yooralla staff and volunteers fundraised in Melbourne CBD on the International Day of People with Disability, with Yooralla’s videos featured on the big screen in Federation Square. We started building a new purpose-built accessible home for people with disability in Benalla. We launched our first Reconciliation Action Plan at a ceremony at Box Hill Community Hub.